Do you love to dive? Are you a keen photographer? If so then why not combine the two and capture on camera the beauty beneath the waves for all to see. Most of our destinations offer the chance to take wonderful photos but some lend themselves perfectly to the budding underwater photographer. As well as showing you some great resorts and destinations, we would also like to introduce you to our photographic workshops, each with their own Photo Pro. 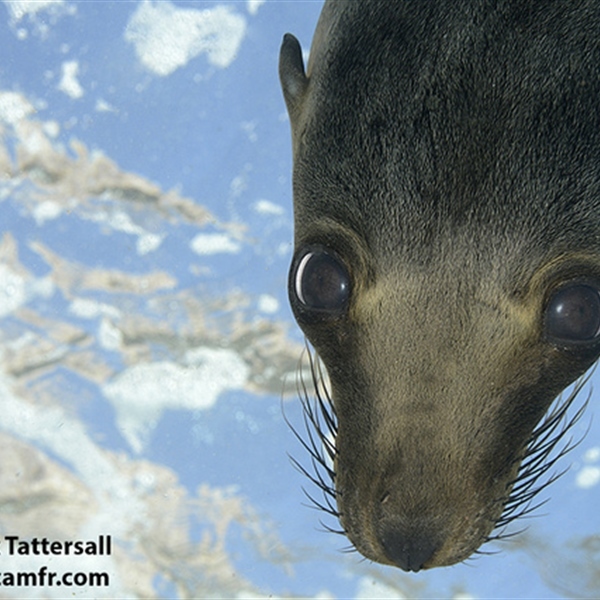 Click on the ‘Workshops’ tab above for details of upcoming Underwater Photography Workshops. These take place in various destinations where you can be promised an unforgettable trip with superb diving, combined with wonderful marine life interactions and underwater photographic opportunities beyond your wildest dreams. The workshops are designed for different capability levels and the workshop leader is there to share ideas and techniques, along with assisting in the technical areas of photography such as exposure and composition. The leaders will take time to look at your photos with you and discuss any specific areas you want to focus on. They will share their passion and enthusiasm making the workshops informative and fun, hopefully they will also share their bag of underwater toys for you to play with! The Red Sea is one of the most popular destinations for underwater photography with its fantastic visibility and beautiful soft corals. You will find over a thousand different types of fish, some of which can be seen nowhere else in the world. Learn how to capture the personalities of the intriguing dugong and turtles, whilst keeping an eye out for a passing pod of dolphins or a glimpse of an oceanic whitetip shark. 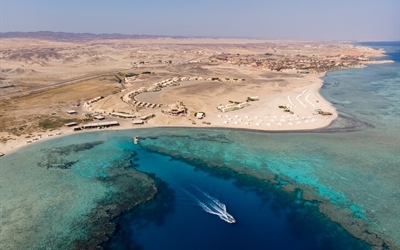 Marsa Shagra and Marsa Nakari, diving villages in the Red Sea, are a great place to start your photographic journey. They both have incredible house reefs and with an unlimited diving package you can spend as much or as little time in the water as you wish. There are several accommodation options including the Royal Tents which are located on the shoreline, here you can enjoy uninterrupted views of the sunrise and sunset along with waking up to the sound of the ocean. For those that want to photograph the weird and wonderful of the underwater world then Indonesia is your next stop. The Lembeh Strait in North Sulawesi is known as the Critter Capital of the World, here you experience muck and macro diving that is truly mind blowing. Manado also provides excellent photographic opportunities where you can photograph macro critters along with stunning reef scenery and larger marine animals. We have a selection of resorts in Indonesia including the lovely Murex Manado. 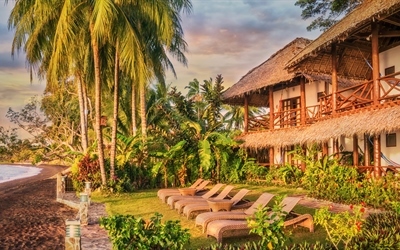 This resort is renowned for its warm hospitality and excellent cuisine along with a location that offers a mix of black and white sand muck and reef diving which is home to some of Indonesia’s rarest and most unique critters. The wonderful NAD Lembeh is an intimate owner-operated resort with an incredible 2:1 diver to guide ratio and a newly renovated camera room which they claim may well be the biggest in the world! There are 30 individual work stations each with led lights, rubber mat, camera towel and power sockets, and a rinse tank close by. For those looking for something different you can experience a Black Water Night Dive, these are all about looking for the small and obscure and really are something everyone should try at least once! 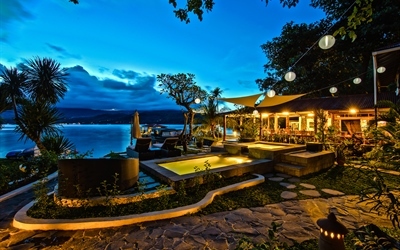 Lembeh Resort is in a secluded location offering guests a luxurious and relaxing stay, all of their dive guides are photography trained and they have a full-time photo pro on site and an extensive camera centre to take care of your imaging needs. The centre has a 3D printer for manufacturing new parts on site and a range of spare parts to keep you up and shooting. The Philippines is another fantastic destination for those that love macro photography, underwater you will see marine life that you will find nowhere else in the world. Some of the highlights are devil scorpion fish, flat worms, bubble coral shrimp, coral pipe fish, skeleton shrimp, painted frog fish, bobbit squid, various type of ghostpipefish including the ornate ghostpipefish, rare tiny sheep nudibranch and clown frogfish. Atlantis Dumaguete is a beautiful boutique resort with just 40 rooms located on a long stretch of beach surrounded by amazing tropical gardens. The location provides some of the most unusual marine species on the planet listed above, and you can dive the reef for turtles at Apo Island. 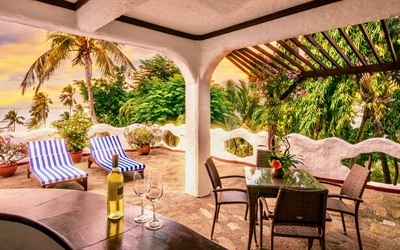 Atlantis Puerto Galera has a beautiful beachfront location built into the hills of Sabang. This resort is quoted as one of the most outstanding in the Philippines with its award-winning Flintstones design. This location is home to more than 3,000 species of fish and 448 species of coral so you can combine unbelievable muck-diving with pristine coral reefs, large pelagics and shoals of schooling fish. At certain times you can join a Fluro Night Dives where a special filtered blue light and a yellow mask visor is used to see corals and anemones stand out in neon colours. Lizardfish and spearer mantis shrimp glow an eerie green colour, scorpionfish emit a reddish-purple luminance, hermit crabs appear illuminated from within, seagrass take on a reddish-hue and nudibranchs will glow like they have been plugged into the mains. You will find photo pros on hand at both resorts to assist with all of your camera related questions and give advice to help you capture that special image. There are dedicated rinse tanks in the dive shop for pre-dive checks and post-dive cleaning and their dive guides are experts in finding the rare, photogenic critters. If you do not have you own photo equipment, then rental cameras and strobes are available at daily or weekly rates.